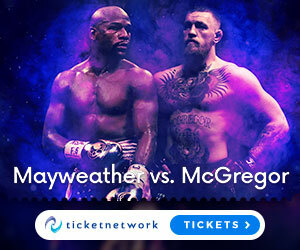 If your a big UFC fan then guaranteed you have your favourite fight cards in your memory, and what better way to immortalise your favourite card in your house then by getting your favourite UFC Event posters. Not just any UFC event posters, but also they are autographed by all the fighters that were on the card! I mean lets be honest everybody holds onto memories, and posters is a way that fans can express there enjoyment they had of a certain moment, experience or sporting event. As I say in all my ticket posts, there is no live event like UFC events in terms of pure crowd buzz and event energy in my experience, and the poster for the event is all a part of the experience. So today we are going to have a look at some of my favourite UFC event posters in history, and why they are an awesome feature inside the house of a big MMA fan. Now I don’t know if you noticed, but if you think about all the best UFC fight cards you have ever seen, I guarantee that in many of them, it was the event poster that gave you that extra bit of buzz in the days leading up to the card. Whether you saw it on the internet, around your town, or at the event arena itself, when you saw the image of some of your favourite Martial Artists going toe to toe with a high quality piece of artwork – your excitement just got notched up a level. This is the fight game and event posters are a big part of an event being a success or not, so while some can be much better designed or more memorable for us for certain reasons, the event poster is always a big part of the prestigious marketing heft for the card. What are some of the best event posters ever? I mean this is a difficult question, because its not the poster that we remember from the event in our memory, its what happened on the night of the fights, or maybe something that happened in our own personal life that made that specific UFC event extra memorable to us. Also for me an event poster, no matter how well its designed cannot save a fight card that is a disappointment when the kicks and punches start flying. UFC 165: Jones vs Gustafsson – This was flat out one of the closest, and most compelling fights I have ever seen before, and this has to be one of the best Event Posters I have seen. UFC 44: Undisputed – Couture vs Ortiz – Was a great event at the time, two absolute legends of the sport in their prime and the facial expressions of Ortiz and Couture on this poster really sold the event! UFC 155 Dos Santos vs. Velasquez II – This is a cool design, both men look like some kind of roman statues which is fitting considering how gargantuan this fight was. UFC 201: Lawler vs Woodley – was a good card and had a climax of a shocking upset in the main event, the poster really shows Woodley in the back looking like a predator ready to strike his prey, which is basically what he did in the fight! UFC 70: Nations Collide – Cro Cop vs Gonzaga – Who could ever forget the event where Cro Cop got Cro Copped? This is truly one to remember. UFC 32 Showdown in the Meadowlands Ortiz vs. Sinosic – this just takes me back to a more simple time in MMA, back when I first started finding the sport – check the hair on Tito! UFC 207 Nunes vs. Rousey – Shes back! Oh yeah shes back and took an absolute beating from Amanda Nunes! Wow what a shocker, and this poster highlights how Rousey was promoted too hard for this card, and Nunes not enough. Now I don’t care who you are, guaranteed there was someone you saw on TV once whether it was some musician, actor, athlete, politician etc. And you thought they were amazing, something about what they did captivated you, and then what did you do? You went to a live event to see them right. Then what did you do when you met them? I bet you shook their hand, maybe even cuddled them if they would let you and you damn sure didn’t leave them till you got some pictures and of course an autograph. Every sports fan knows that anything you get from a live sporting event that gets signed, just gives it more weight. Before every UFC event you see fighters signing event posters, because as fans we love getting our hands on some of these posters to immortalise the memory for us. Also who knows if you get two posters, you could keep one, and then sell the other one in 20 years for a great price if you keep it in good condition! So don’t forget that these UFC event posters are highly collectable. These posters are officially licensed by the UFC directly from their store, so there are no cheap imitations here, just the real posters you see fighters signing on fight week at the arena. Also all these posters include an individually numbered tamper-evident hologram, which again makes forgery impossible. All these posters are directly autographed by the hand of your favourite UFC heroes. Some of the best Event posters are not only nice enough to frame, but wouldn’t look out of place in any house no matter how big or small. These posters ultimately immortalise those special events for us – the ones that we will never forget, maybe it was the fights on the card, or maybe we became a parent for the first time, or got an awesome new job. Whatever your reason for getting a certain event poster, the memories will be all that more legendary in your mind because of buying it and hanging it on your wall. The designs are really varied and are really made with some top design work and fight promotion. They are all framed which will keep the poster in mint condition for as long as you like. Well lets not beat around the bush, these UFC event posters are not cheap, but then what is the price of our best memories in our lives? For me they are priceless, so there is no price I cannot match to immortalise that special event in my house. There is a few event posters that the UFC store don’t have available, but remember because of their collectability alone these posters do sell out quick! So after reading my review I expect you have come to your own decision about if you want to get a UFC Event Poster. But as we have been talking about throughout this post, these posters are ultimately a piece of history and we all love to remember the best parts of our history. If you take care of these posters they will outlive you, and you will be able to pass it one to your children, and them onto theirs as a priceless piece of memorabilia. I’m sure your probably ready to immortalise your favourite fight cards in your house, so if you want o look at the full array of options available, then you can do that right HERE. WOW! Seeing these fight cards over again bring many old memories to mind. One of the closest fights i have ever seen was Jones VS Gustaffson. During the fight i felt that Gustaffson beat the crap out of Jones and he should have won. Jones didn’t seem like himself that night and i know everyone felt the same. It was a shame to see Gustaffson lose a fight he clearly won. Man, these posters bring back some seriously good memories with some seriously good friends. It would be an honor to own any of these. Thanks for the excellent read and an even better idea. I never thought to purchase a autographed fight card poster before. Hey Justin – i know right! That’s the beauty of these UFC Event posters, it brings back some classic moments from our lives 🙂 and i totally agree bro, Gus just won that fight on my scorecard too based on points, it was close though, but you know how it it goes in those championship bouts sometimes – you have to beat the champion to be the champion. Sometimes a challenger has to finish the champion via KO or submission, or get way more knock downs/take downs to become the new champion in the eyes of the judges. Yep Nunes vs Rousey was over in 48 seconds, and that 48 seconds was just Nunes teeing off on Rousey on the feet – Rouseys boxing was appalling in that fight, she was put on skates early, she was basically out on her feet, then the ref saved her from getting put out really badly. What a classic memory though! And i know man the Cro Cop loss to Gonzaga was heartbreaking to me at the time, and at that point was the most shocking thing i had ever seen in MMA – one of my heroes of the sport getting crushed so badly by his own favourite technique 🙁 but i will never forget that though! Thanks for your feedback, see you again soon! This website is so well put together and easy to find information on. Great job man! Hey Conor, thanks for the compliment bro! Never knew these cards even existed until I saw one on the wall of my buddies house who’s a huge MMA fan. I do remember watching the Nunes Vs Rousey match and boy oh boy, that was one of the biggest floggings I’ve ever seen in combat sport – even more when Kostya Tzyu knocked out Zab Judah. What on earth was she doing trying to box with an elite striker? I do like the idea of these – to immortalize a memory of our favorite fighters. But yeah i know man, i agree it was definitely one of the worst beatings in 48 seconds that i have seen, especially in Women’s MMA – it still looks unlikely that Ronda will return from it as well. Her coach Edmund Tarverdyan got her thinking that she was an elite level boxer, when as Nunes showed she is nowhere close to that – she could have put in a much better performance if she focused on getting a takedown early. But honestly i think its time you get yourself your own poster as well, but if your stuck for choices of top fighters then try this post or this one. Thanks for dropping in anyway – see you again soon! I agree, the UFC Event posters are great ! Talk about a conversation starter, these will help get the excitement going. They are nice to have in “the cave” when people start showing up. We all know when the “talk” starts, the fun starts. Good list of cards by the way. Hi Bert, good to her you know these UFC event posers are amazing! Like you say they are a great piece to have in the cave and a definite conversation starter! If you wana get people talking more then check this out! I’m a huge MMA fan. What a great way to keep the memories alive. You’re definitely right they are not cheap by any means but like you said they are priceless. I’m very impressed that all the fighters autograph all the posters, that’s so awesome. My favorite is Connor i love his style and attitude. Too bad he lost against Mayweather but hey held his own. Thanks for this, it brings back a lot of memories. Cheers. Hey Horst, always good to hear from another big MMA fan like me 🙂 the price is worth immortalising your memories from my viewpoint – these posters are really unique and are priceless as we are both saying. Yeah i know Conor is the man on and off camera and definitely in the cage – yeah we were all still proud of what he achieved against Mayweather right? Pro debut going 10 rounds with the best boxer ever in a boxing match – are you serious? lol. Conor proved that MMA fighters can do better in boxing then pro boxers would do in MMA. Have you tried Krav Maga before? I would really like to see Mayweather in the octagon lol. Don’t think he’d stand a chance but that’ll never happen. Thanks for replying. Hey Horst, yeah me too but Mayweather is such a little show pony marketer, he would never put his image on the line by having a real fight in the octagon – the guy can preach about being the best “fighter ever” but really he is just one of the best boxers, but bottom line like Conor said Floyd needs his little rules to win, but he is scared of getting kicked, elbowed, kneed, taken down, pounded on the matt and submitted. I can really feel from your post that you are a UFC fanatic. I really like that you have listed your epic favourite posters with your personal reasons for why you rate them as good fights. I’m not that much into UFC, but I was a huge poster lover at one point in time, so your post definitely resonates with me on a certain level. I think the fact that you can have these posters autographed is awesome. Do you perhaps know if there is an added cost for getting a poster autographed or is it just part of the normal sales price? Hello again Ziyaad, yeah guilty as charged! I have been a huge UFC fan since i was about 10 years old, and considering im 30 now that gives you some scope lol. Yeah these UFC Event posters are awesome even if you don’t like the UFC because they are just generally awesome to look at, might even draw you into starting to watch the fights, and yes the autograph premium is included in the cost! Here’s another UFC fan favourite. Thanks for dropping more feedback bro!